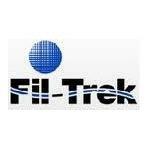 Fil-Trek Corporation is a manufacturing-based filtration company in Cambridge, Ontario. Products offered include: Replacement Filters, Filter Housings, Strainers, and Custom Filtration Equipment. They also offer: Filter Separators, Air and Gas, Tanks, and more. Fil-Trek offers rentals to eliminate permanent equipment on-site. Markets served include: Water, Desalination, Chemicals, Oil/Gas, Food and Beverage, Power, and more. Products Carried: Fil-Trek Corporation in Cambridge, ON specializes in the design, manufacture, and service of industrial filtration for the global market. Products offered by Fil-Trek Corporation include: replacement filters, filter housings, strainers, and custom filtration equipment. Fil-Trek's rental program helps companies get the most accurate filtration results for projects that only require short term use.